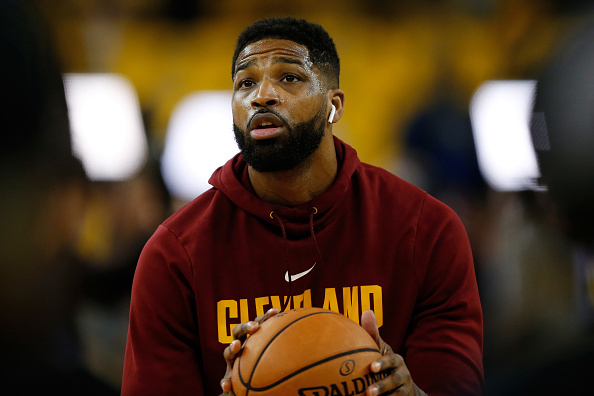 Home>Sports> Tristan Thompson Aired Out For Sliding Into DMs Of 17-Year Old "Influencer"
Cleveland Cavaliers center Tristan Thompson just can't catch a break. 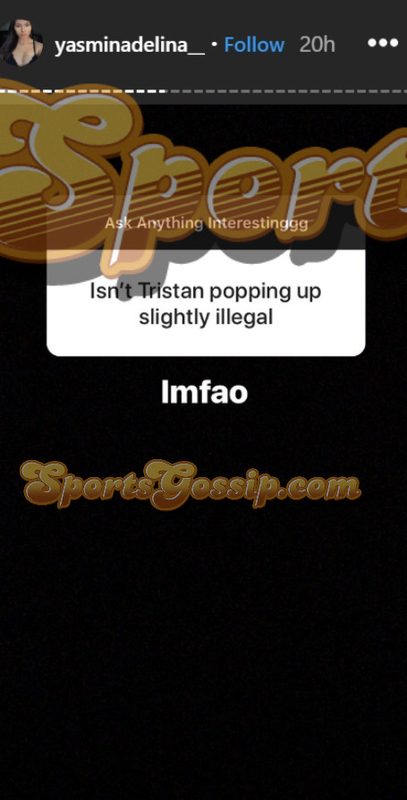 Just days before the "Keeping Up With The Kardashians" season 16 premiere, in which Thompson will be heavily featured due to the Jordyn Woods cheating scandal, instagram "Influencer" Yasmin Adelina has aired him out for sliding into her DMs. According to BSO, Adelina is just 17 years old. 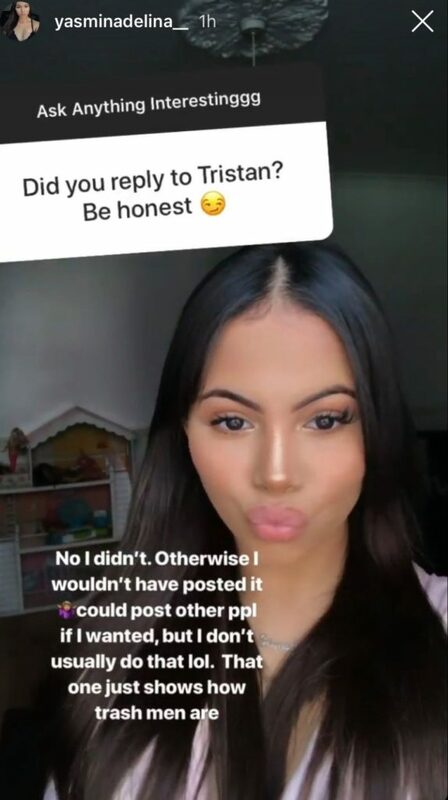 Adelina, who describes herself as a "singer & influencer," recently posted a screenshot of the purple heart that Thompson sent her in the DMs, and shared her thoughts about the Cavs' 28-year old center, in general. "No I didn't. Otherwise I wouldn't have posted it. Could post other ppl if I wanted, but I don't usually do that lol. That one just shows how trash men are." Check out the screen shots below (H/T BSO). 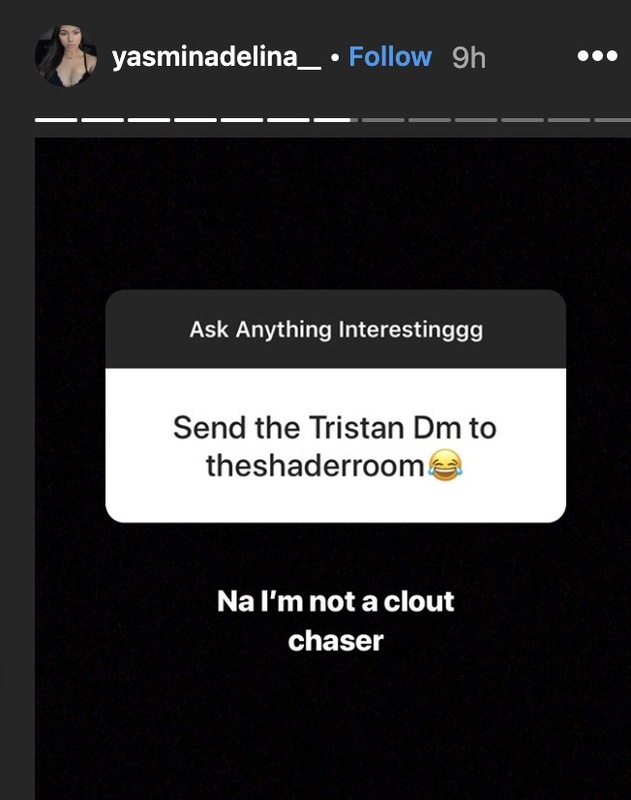 SPORTS Tristan Thompson Aired Out For Sliding Into DMs Of 17-Year Old "Influencer"